"Both players know that defeat will realistically end their chances of qualification for Saturday's semi-finals given straight-set defeats in the opening round of matches, so player motivation - as it should be for such a high-profile event in any case - will be extremely high." We picked up a decent winner yesterday in London with Alexander Zverev defeating Marin Cilic in two tiebreaks to record a straight-set triumph in the Kuerten Group and also register his sixth consecutive win over the Croat, who has continually struggled on key points against the young German. Whether this is variance - or simply Zverev being better when it matters - is up for debate, but with Zverev one of the few players on Tour capable of overperforming break point expectation when looking at long-term data, there is certainly an argument for him having a mental advantage over Cilic, who has often struggled against the better players on the circuit. Make no mistake, this was certainly a key victory for Zverev. With both players still yet to face Novak Djokovic, a straight-set win puts him in great stead to qualify. As for Cilic, defeat in such a crucial match sees his outright price drift to [60.0] on the Exchange. After yesterday's facile straight-set victory for Novak Djokovic, the world number one has shortened to [1.39] to lift the trophy on Sunday. Such price movement is probably a little bit of an over-reaction, although he did dismantle the big serve of John Isner with ease last night. However, Djokovic has done so with regularity in recent head to head matches, and such a display wasn't a particular surprise. First up today, not before 1400 UK time, is a relatively even-looking match-up between Kevin Anderson and Kei Nishikori, with the man from Japan a slight [1.70] market favourite. My model largely agreed with this line, given Nishikori's slight edge over the last 12 months on the surface. While Anderson possesses a better serve, winning 71.6% of service points indoors in the last 12 months to Nishikori's 68.7%, he has a big deficit on return, winning 32.6% compared to 38.7%. In fact, Nishikori's combined percentage of 107.4% is top five level for sure, and signals a return towards previous peak levels that he has spent several years trying to regain. The players have met on nine previous occasions, with Nishikori victorious in six, although it's worth noting that, on the whole, these were close affairs and Nishikori has saved and converted considerably more break points than expectation, based on service/return points won figures. With this in mind, it's difficult to give the head to head record much consideration when assessing the match-up, and in any case, Anderson has won two of their three meetings this year. Summarising, I think the market lines are pretty accurate and it's difficult to favour one player over the other at current prices. Sadly, this is also the case for the second match on the schedule, with Roger Federer a solid [1.37] favourite to get his first win of the tournament against Dominic Thiem. Both players know that defeat will realistically end their chances of qualification for Saturday's semi-finals - given straight-set defeats in the opening round of matches - so player motivation (as it should be for such a high-profile event in any case) will be extremely high. Sunday's loss to Nishikori was just Federer's second indoor defeat this year, across 15 outings, and in these matches, his data is extremely impressive (111.1% combined service/return points won percentage). Thiem's 2018 indoor data shows marked improvement from previous years, at 103.5%, but still isn't close to elite level. 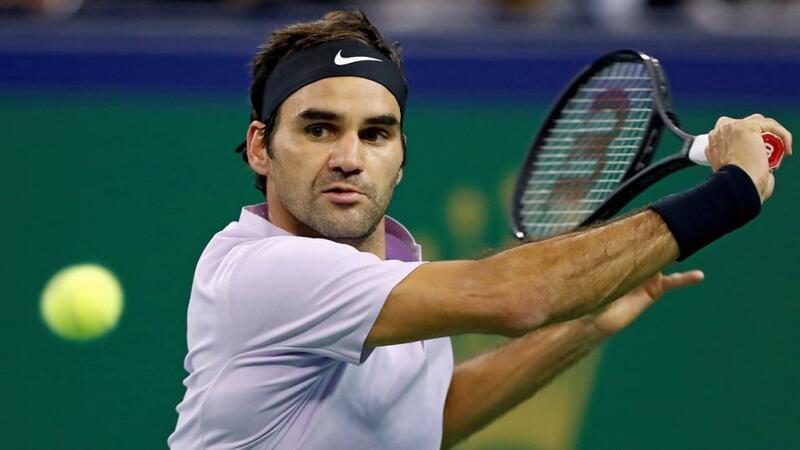 My model again agreed with the market, and I do think that prices accurately reflect the implied percentage chances of Federer taking this match, and victory for the Swiss legend would set up a must-win meeting with Kevin Anderson on Thursday.